Are Jake and Caleb grasping this concept? Is this learning going to stick? What are the most important things the boys need to know right now? Dear Lord, help me do what is most needed. Please guide me. 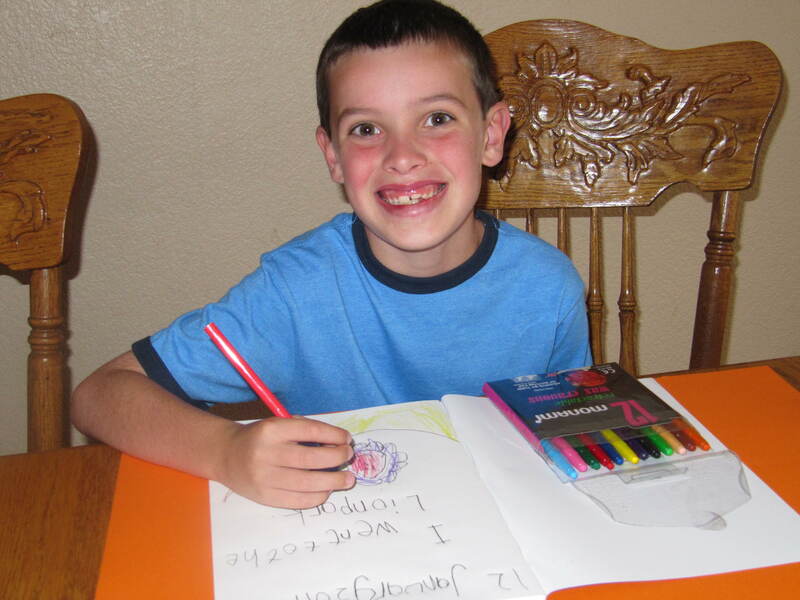 Caleb was seven years old when we started our Happy Blue School adventure in 2011. Caleb was writing in his journal this day! Jake was nine years old at the start of 2011. 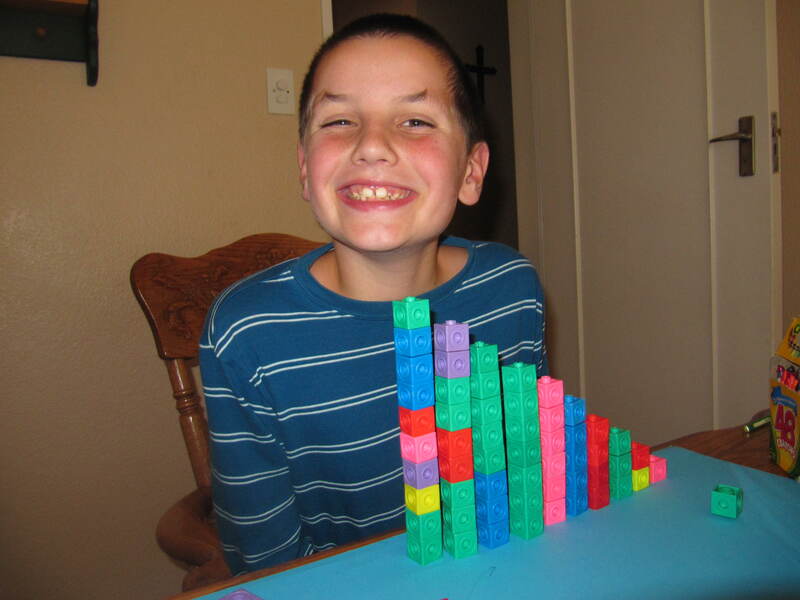 He loved using the unifix cubes in math back then! As a homeschooling mom of two high-functioning boys on the autism spectrum on the mission field, I sometimes wonder if I am the best teacher for my sons. Honestly, I keep my eyes and ears open for a possible educational alternative for them here. There are few options. And so far, nothing has materialized that will address their specific learning needs like I can at this point in time. I have told Jake and Caleb that I will not be their teacher forever. Someday, a time will come when they will have new teachers who will guide them in new learning. Jake and Caleb aren’t too excited about that likelihood. They’re quite happy and content in our little home school environment. 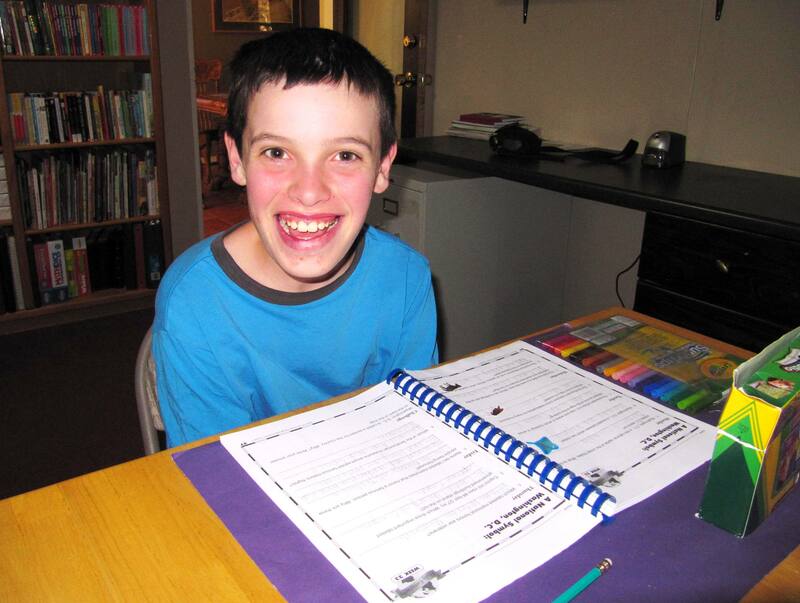 And now that we have a designated space just for their learning, Jake and Caleb are even more delighted. But things change, and Jake and Caleb are growing up. It is the desire of John’s and my hearts that these young boys discover their passions and grow into them. 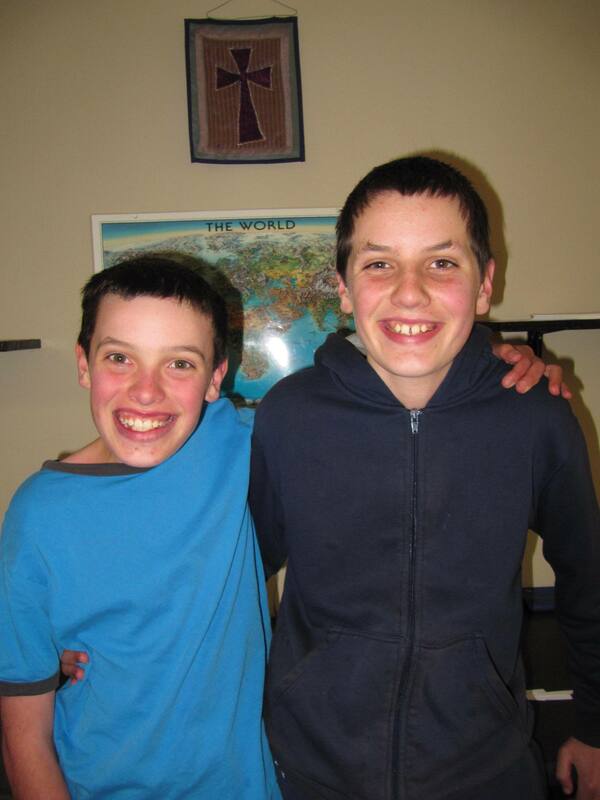 Jake and Caleb will need people; kind and discerning people, to assist them pursue their dreams. Caleb just turned 11 years old. He loves geography…probably his favorite subject! And four years later, he still likes wearing Old Navy shirts (this one is a larger size). 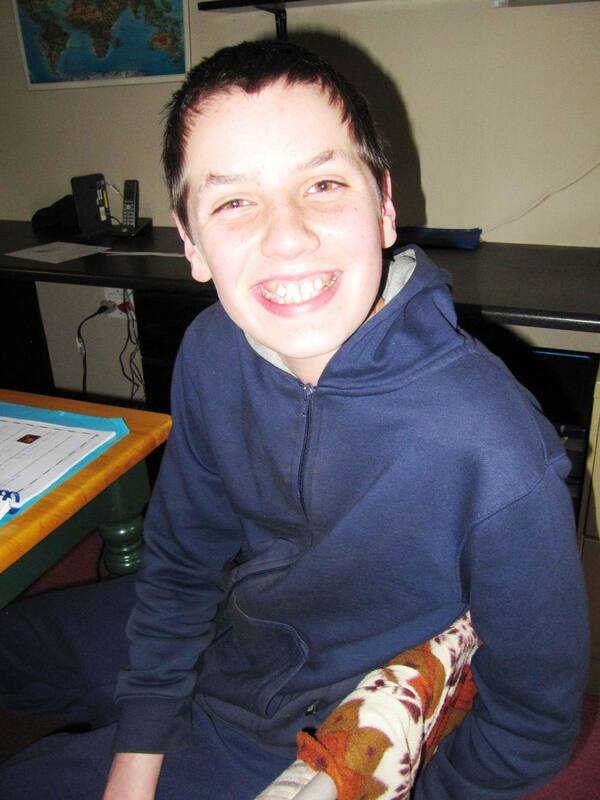 As parents of kids on the autism spectrum, John and I understand that we will be intimately and actively involved in the boys’ lives for as long as we live. We’re totally okay with that. In all honesty though, John and I have had had significant heart to heart conversations about what happens after we are gone. My cancer diagnosis two years ago brought these thoughts to the forefront. Of course, I’m not in treatment now. I’m being followed up on a consistent basis. However, visits to my oncologist are a stark reminder that my days are finite; no matter if cancer comes back or not. Heather, your God is Lord. His word stands firm in the heavens. His faithfulness continues from one generation to the next; that means Micah, Jake and Caleb. Your God is able to establish and keep the earth, the stars, the planets, the galaxies, and the entire universe working and in good order. Your God’s laws continue to endure to this very day. How then, can He not establish, protect, defend, guide, and love your children today, tomorrow and every day into the future? Heather, your children have been created and established according to your God’s good purpose. There is an important and unique plan that has been created with Jake and Caleb in the mind and heart of your God. He has provided and cared for them in the past. He has provided and cared for them today. And He shall continue to provide and care for them in the future. Heather, your children will have challenges and hardships. No one escapes the difficulties and pain of this world. However, do not forget this important truth: Your God stands firm. Your God is faithful. His works endure. You can trust Him with your children even after your days upon this earth are complete. Friends, many of you have prayed for our family through the years and continue to do so today. You have observed how the Lord has cared for our family and helped us. Thank you for your prayers and involvement in our lives. Your prayers and love mean the world to us! Jake’s favorite subject is writing. He likes writing personal narratives. Although right now, he is researching the trumpeter swan as part of an expository assignment. He’s okay with that! Our God is faithful and His work endures for all time…even after we’re gone. He continues to establish the earth and all of creation now and forevermore. Take courage in this amazing truth. I want this important lesson to stick with me, just like I want the lessons I teach my boys to stick with them as well. We’ll give it a go! Previous A Crucible Has Come: What Is Our Response?